The original Teeling distillery was established by Walter Teeling in 1782 in Dublin. It eventually closed as a result of the decline in Irish whiskey sales. In 1985, John Teeling bought a state-owned industrial potato distillery on the Cooley peninsula. He added a column still and in 1987 launched the Cooley Whisky Distillery and set about re-launching forgotten Irish whiskey brands such as The Tyrconnell. When the Cooley distillery was sold to Beam in 2012, John’s sons Jack and Stephen negotiated with Beam to sell them 16,000 casks of aged Cooley whiskey. With these stocks they set up the new Teeling Distillery in Dublin, where the first run of whiskey flowed in March 2015. 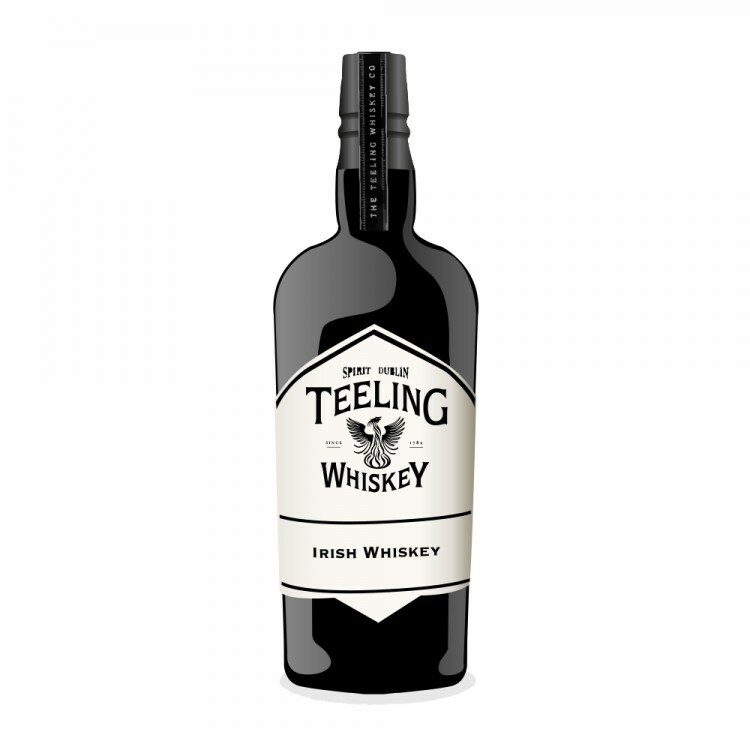 Teeling Small Batch is a blend that consists of grain and malt whisky that is initially matured in ex-bourbon casks before being married for six months in ex-rum casks. The nose is sweet, floral and just a bit creamy. Distinct rum flavours come first, followed by notes of oranges and cinnamon. All in all this is a very sugary and almost syrupy nose. The palate is medium-bodied and spicy. The orange and cinnamon flavours are back, now accompanied by notes of raisins, lemons and vanilla. Quite a multi-layered palate but also, unfortunately, with a rough edge to it. The finish is of medium length, floral and spicy. Once again, oranges and cinnamon take centre stage, followed by a hint of caramel. Teeling Small Batch is a blend that shows the youth of its ingredients. The whisky that went in there is clearly young and, although showing signs of promise, needs more time in the cask in order to develop its full potential. The palate is dry and sweet at the same time, which is unusual and interesting, but I was not very fond of its rough and sharp edge. More time for maturation will make this mellow and just right. @Pierre_W, thanks for a very relevant and accurate picture of this whiskey. I have yet to find anyone who has gotten very excited in a good way about Teeling Small Batch. I was a bit surprised when I first learned that these were the Cooley people, because Teeling Small Batch is to me a weaker performer than anything (else) I have had from the Cooley Distillery. From what I have had of it I don't know why anyone would ever buy a bottle of it. Thanks, @Victor. Indeed, this was my least favourite of Teeling's core expressions that I recently tried. I will be visiting the distillery this week, perhaps a good opportunity to quiz the guys about what exactly they wanted to achieve with this expression.